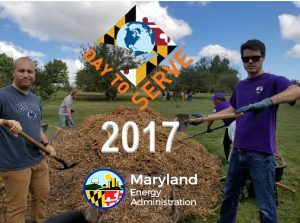 Maryland’s Day to Serve Initiative, gives all state employees four consecutive hours of paid leave to take part in a volunteer activity of their choice at any time from September 10 to October 10. 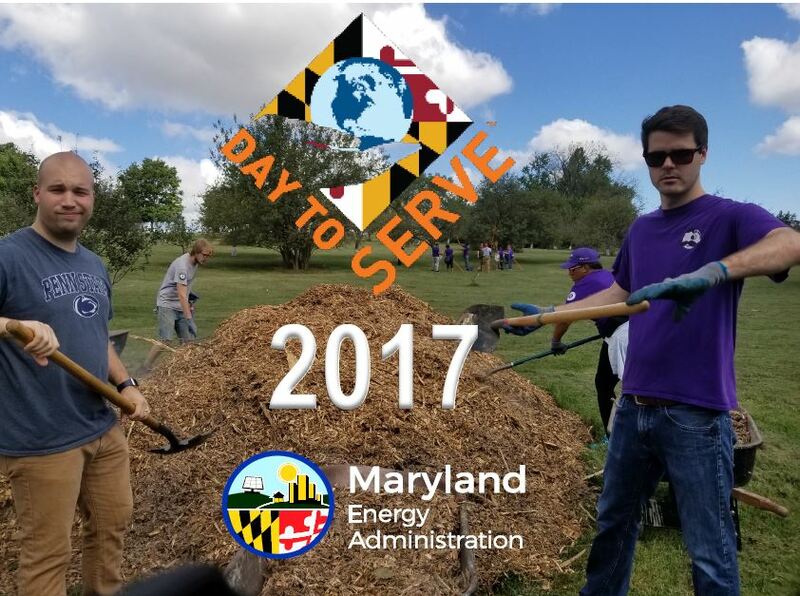 As part of Day to Serve. 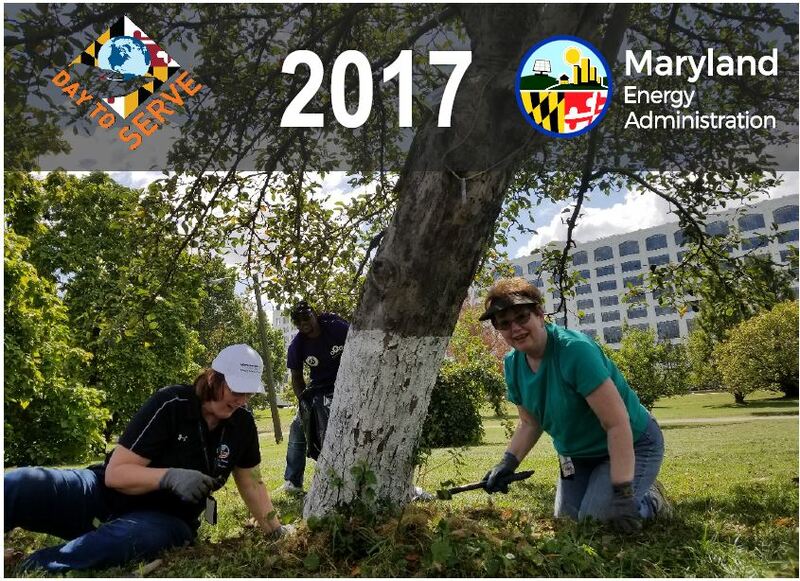 The Maryland Energy Administration is proud to participate in events that benefit our community. This year, MEA partnered with the nonprofit, Civic Works, Inc., to clean up the historic Carroll Park orchard. 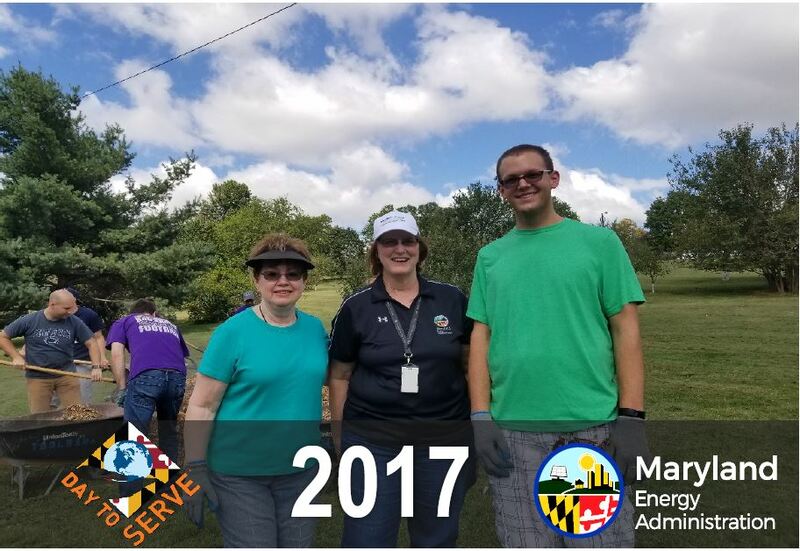 We were fortunate enough to be joined by the Baltimore Energy Challenge for the event. 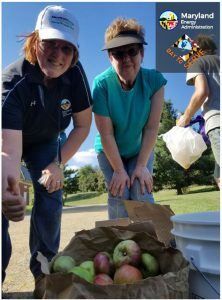 Together, our band of volunteers picked apples, weeded and mulched the orchard. The Carroll Park orchard consists of heirloom apple trees that would have been in place when the orchard was first planted in mid-eighteenth century by the Carroll family (the orchard was replaced by the city in the early 2000s). 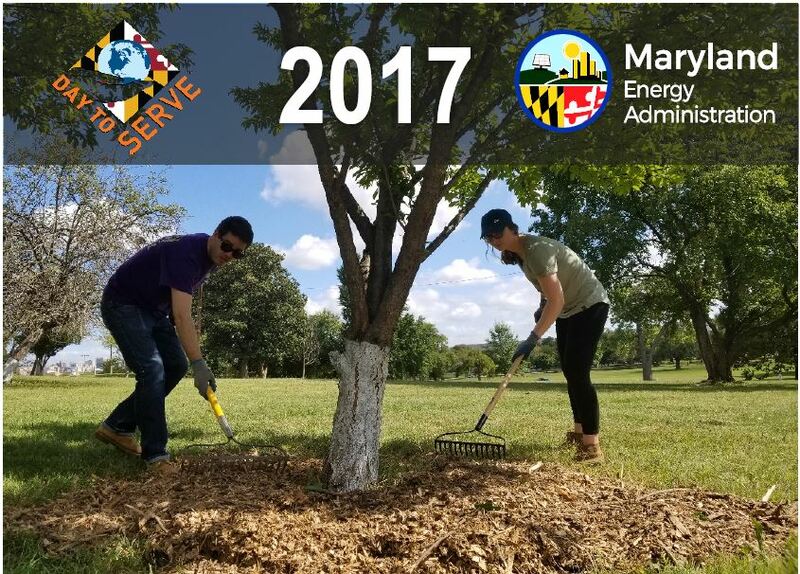 The orchard is maintained by Civic Works and The Baltimore Orchard Project. Today, the orchard remind city residents of their connection to nature and provides hundreds of pounds of fruit for the community, food banks and nonprofits each year. Civic Works provided the much, tools and water for the day. Civic Works has been helping Baltimore for over 20 years through a combination of job training, skills development and community service. 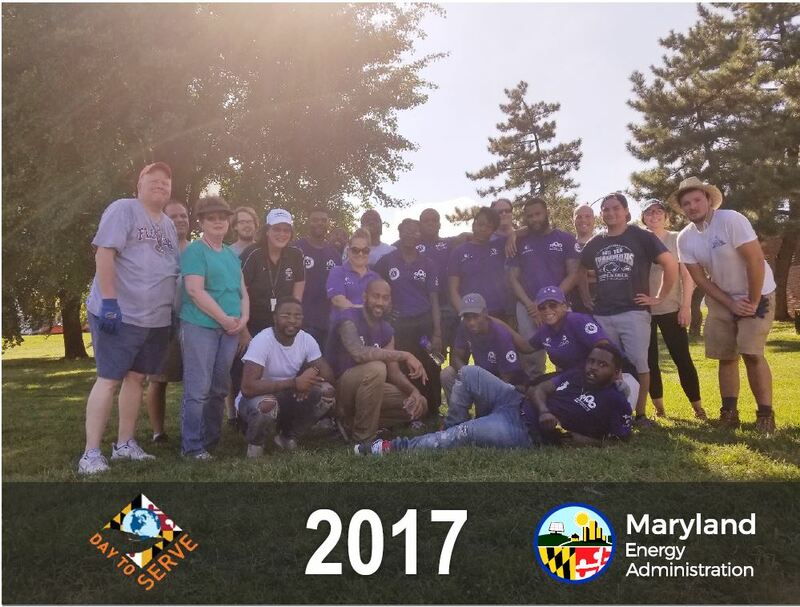 Civic works is a past awardee of MEA’s Clean Energy Communities Low-to-Moderate Income Grant Program. 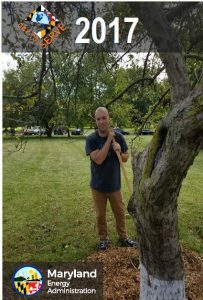 Early on, Baltimore City had 120 orchards, today, the Baltimore Orchard Project is helping to expand local orchards. 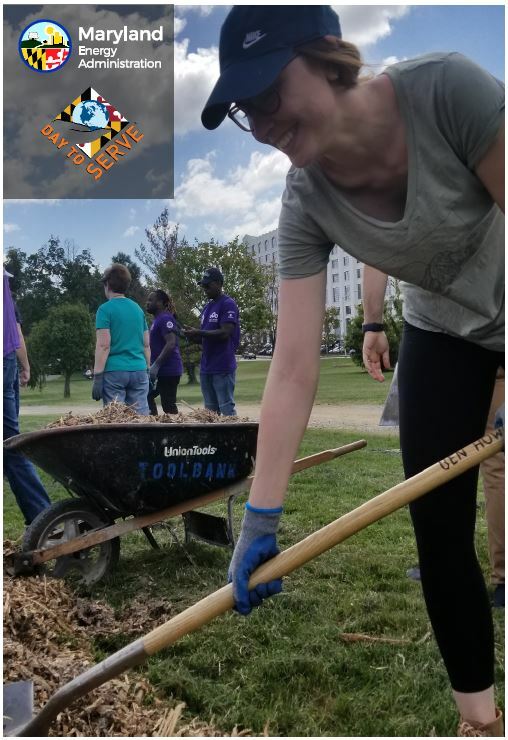 The organization strengthens communities through planting and cultivating orchards, teaching citizens to be long-term stewards, and sharing the harvest among neighbors. Mulching is one of the most important ways to maintain healthy plants. The mulch added to the orchard will help to keep the trees healthy for a full year. Our Director, Mary Beth Tung, and her Executive Assistant Brenda Bloomquist lead the weeding efforts. Weeding is essential when gardening around fruit or ornamental trees as small ground cover plants compete for nutrients with the tree. The wood used here for mulch is an abundant, renewable resource. Some local nonprofits like the Baltimore Wood Project makes use of urban tree trimmings to create mulch for city projects, recycling available resources for the better good. 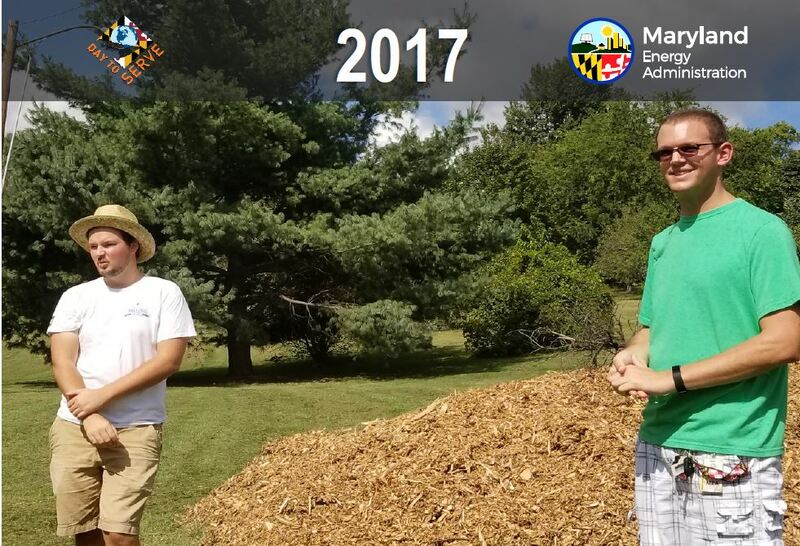 Wood is so prevalent in Tree-Mendous Maryland, it is consider a prime renewable resource and a key to our sustainable future. 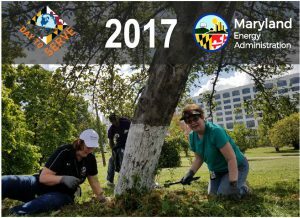 In fact, the MEA offers a grant to Maryland homeowners who purchase a qualifying clean burning wood or pellet stove. Click here, to read all about how you can save money and the environment with a wood heating option. For more information on heating your home with wood, visit us online. We had a great day working out in our local community. 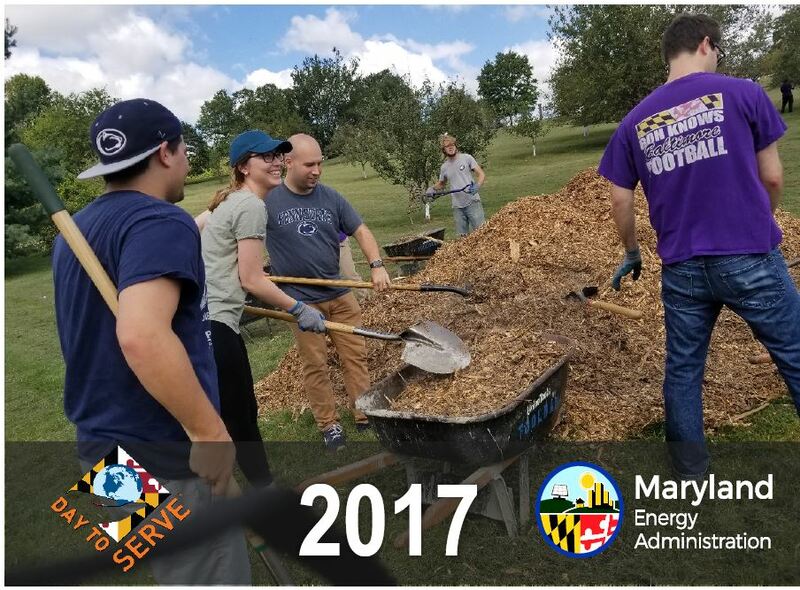 Thanks to the State of Maryland, Governor Hogan, Civic Works, The Baltimore Orchard Project for making it all possible. 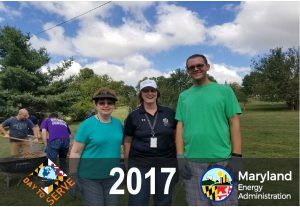 Special thanks to our new friends at the Baltimore Energy Challenge too.